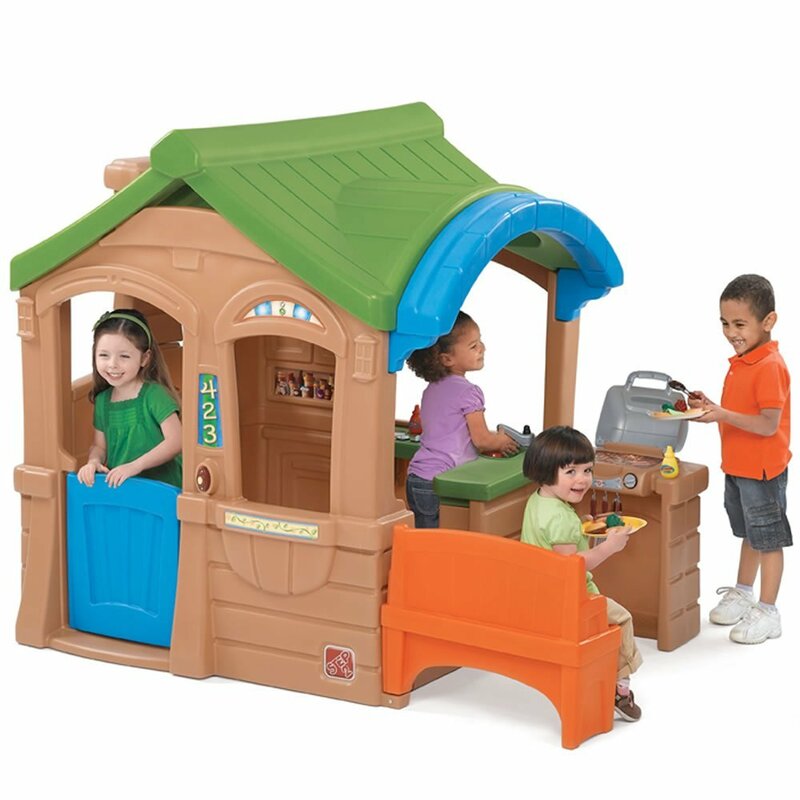 Best Indoor and Outdoor Playhouses for Toddlers and Kids! The Cutest and Most Fun Playhouses for Toddlers! 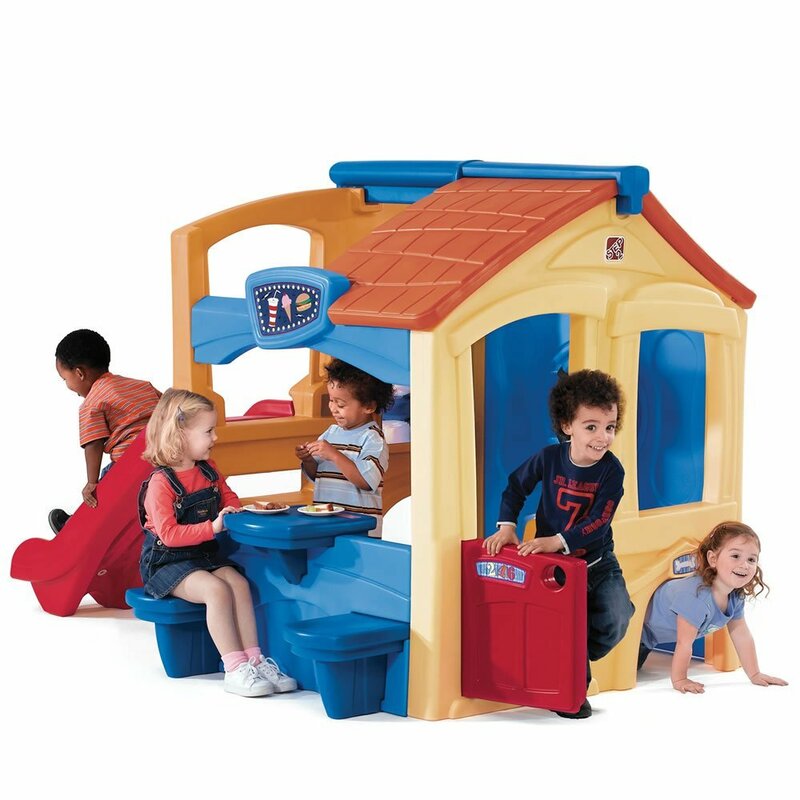 One of the best gift ideas you can give an active toddler is a fun playhouse! Toddlers love to imitate mom and dad (and doing that is an important part of their development) and what better way for them to do just that then by getting their very own ‘house’? 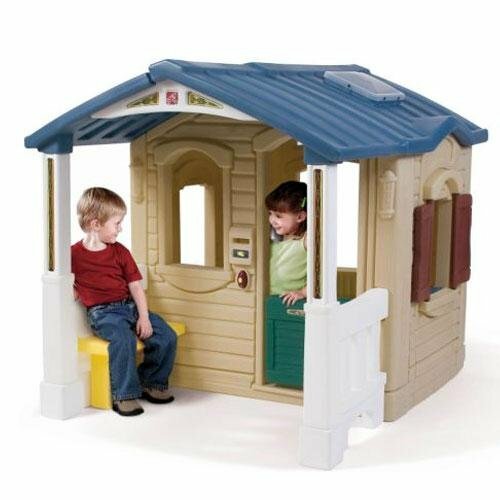 The best toddler playhouses are the ones that can be used either indoors or outdoors and come loaded with fun stuff such as working bells, sink, telephone, opening windows, barbecue area, porch and such. I gathered here a few of the most bought and best reviewed by parents cute playhouses for sale! Have fun! One of the Cutest Outdoor Wooden Toddler Playhouses for Sale! 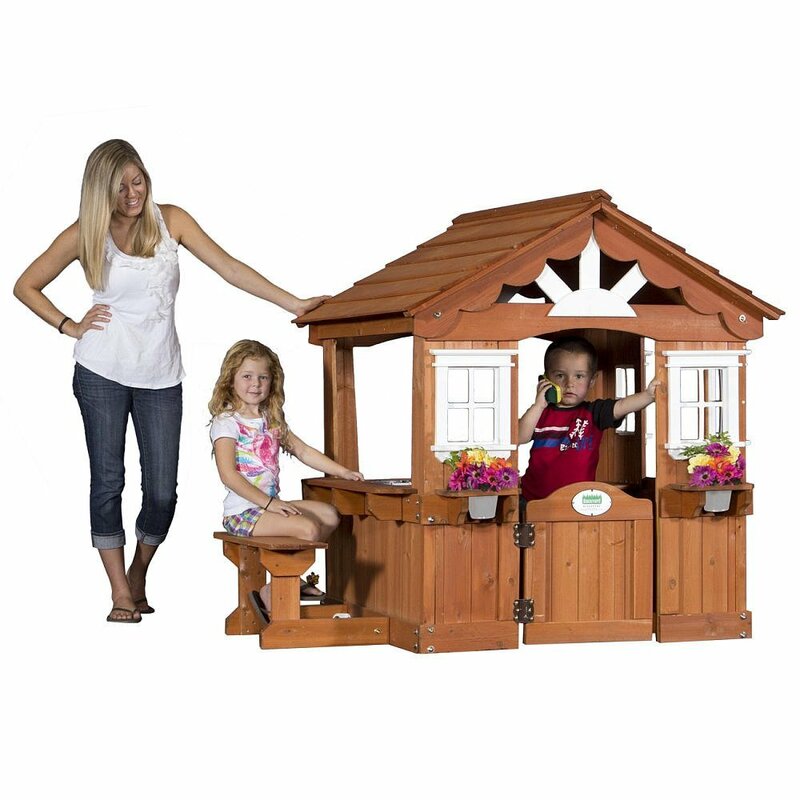 This is by far one of the cutest outdoor wood playhouses for toddlers being sold! It looks just like a cute adult house, doesn’t it? The red roof is just too adorable! Check out the cute mailbox! Lovely! There is even a fun toy sink inside! 🙂 It comes with easy to understand assembly but it will take a few hours though… But once it’s done it’s pretty sturdy! It will fit little ones ages 2 to about 7 years old. 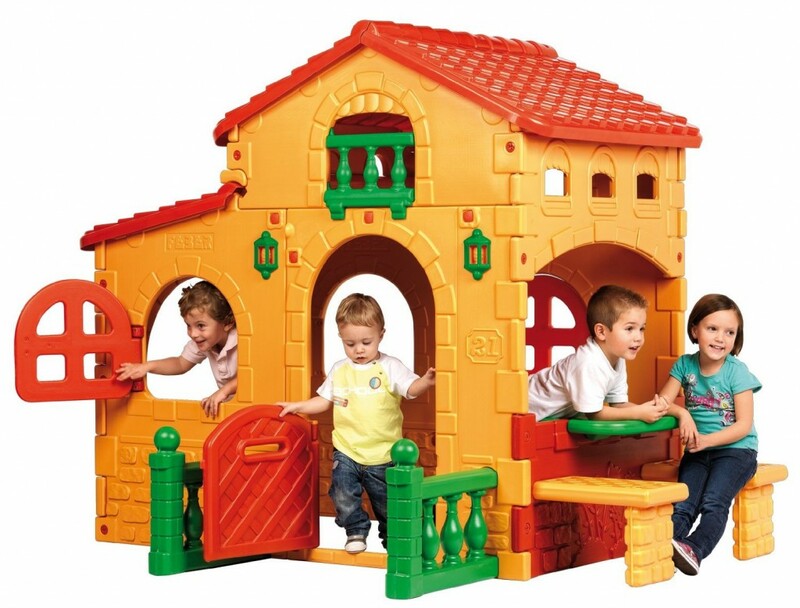 Check these kids playing with their cute outdoor wooden house! What a Colorful Toddler Playhouse! Big Play House for Kids! Wow again! !Another GORGEOUS and bright colored playhouse for sale! It is a bright green toddler playhouse! FUN, fun fun! You can have it anywhere you want, either on your backyard, playroom, garden or your child’s bedroom! I wish I could have a cute green house too! Assembly is a breeze! Check it out on the video below and enjoy! 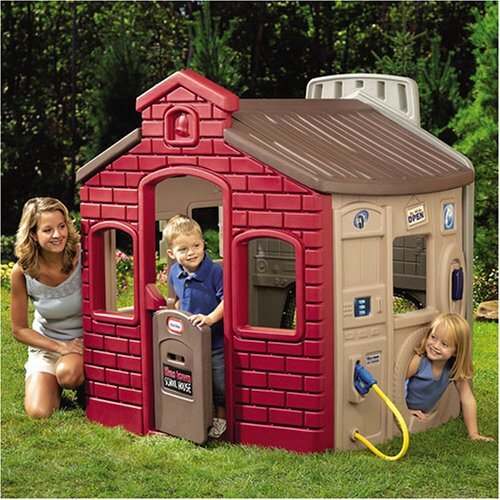 Fun Plastic Playhouses for Toddlers! A lot of parents prefer getting a cute and colorful plastic playhouse for their kids because they are usually very easy to assemble, lightweight, easy to clean and they look great anywhere! 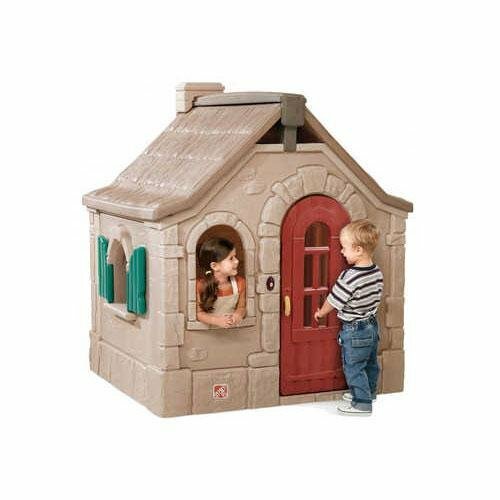 This is a very popular plastic playhouse with a fun patio area that includes a cute plastic bench, a built-in grille, kitchen, sink, electronic doorbell and fun windows! (Not to mention the gorgeous Dutch door!) Great way for kids to use their imagination and make the best pretend barbecue ever! *Check it out! The kids are having a blast making ‘barbecue’! Another super cute and realistic outdoor cottage style playhouse for children! It also has a sink, a stove and a cordless phone, not to mention the cute bench! Parents say it takes around 5 hours to assemble, but it looks darling after it’s finished! Great to have in the backyard, next to a fun swing set or near some trees! 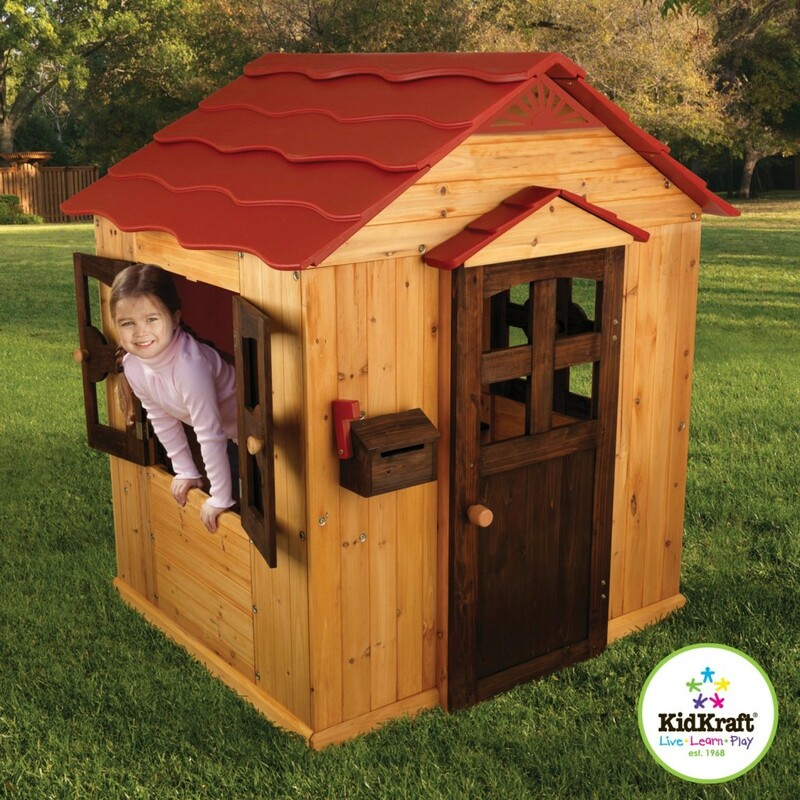 Needless to say kids love this cute wood playhouse and spend hours coming in and out! Cute Plastic Storybook Cottage Playhouse for Toddlers! 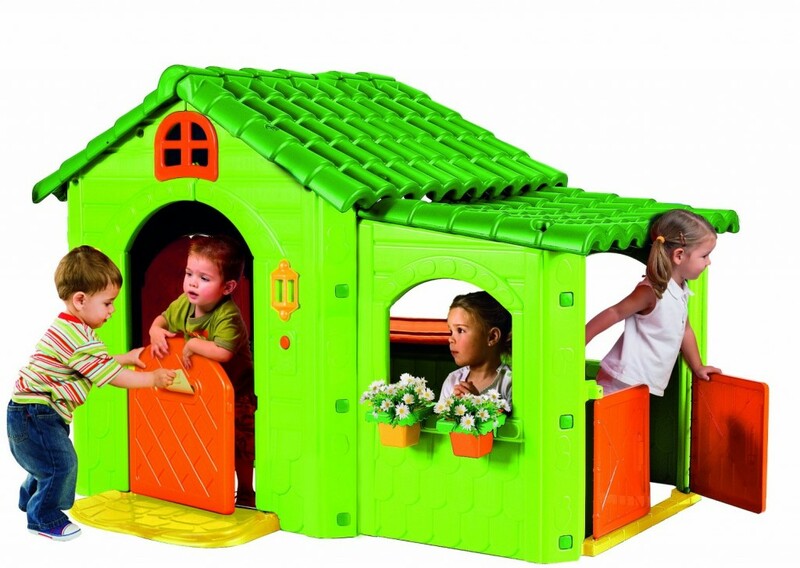 Another cute and charming cottage style plastic playhouse for small children! (It fits 2 to 4 children inside.) Grandparents say it makes a great gift idea for their grandchildren! Fast and easy to put together (will take about 30 minutes) and great to have either indoors or outdoors! It is also very sturdy and will last for a long time. Those kids seem to be having a blast! *This little boy sees his cute playhouse for the first time! Awesome Toddler Playhouse with a Slide! This is a very cool toddler playhouse with a slide for sale! As you can see it fits many toddlers inside and it has many fun activities for them! One of the walls is actually an activity wall with fun games and there’s also a cool crawl-through rotating door too! I also love the cute ‘snack table’! It is a great 1st and 2nd birthday gift idea and you can have it indoors during the cold months and outside during summer! *This little boy is happy to show off his brand-new ‘house’! *I hope you enjoyed my selections of cute playhouses for toddlers here! How about also getting a fun toddler bounce house?